Preis ab 3 bis 5 Nächte p.P. Preis für 1-2 Nächte p.P. Preis ab 3 - 5 Nächte p.P. Preis ab 6 Nächte p.P. 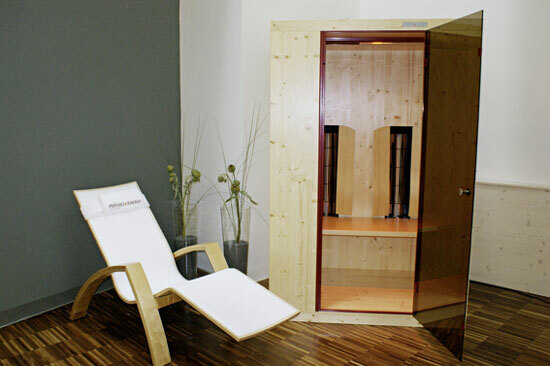 brandnew Physiotherm infrared cabin from the market leader for IR-Cabins in Europe and a fitness room ... the right way to come down after a busy day or just to work out.